When I was a kid and we lived in America, I just knew it was a good day when I got off the bus and my Mum and Dad had picked up soft tacos and cinnamon twists from Taco Bell. 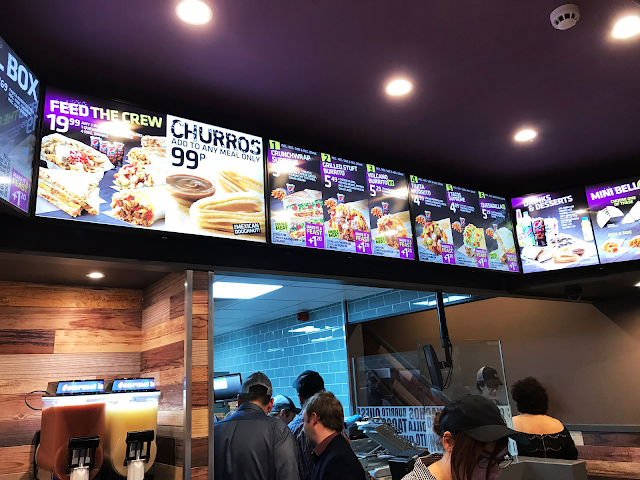 Since we moved over in 1999, Taco Bell is the main fast food chain that I've really missed. 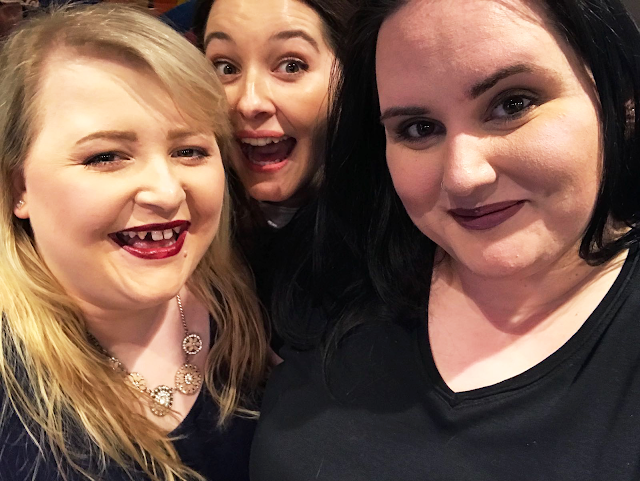 For the last 18 years, I've seen the American culture slowly merge with the UK, and it's been pretty great. 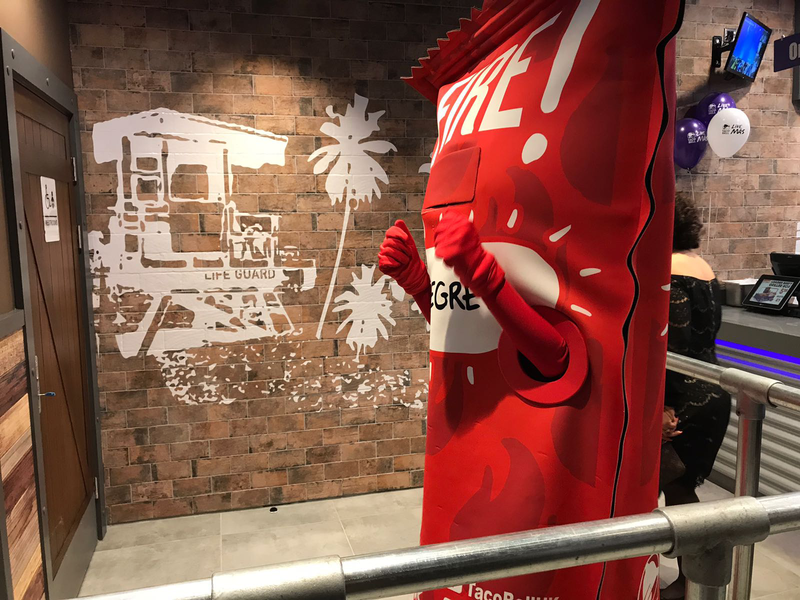 Anyway, the whole point of this is that when Taco Bell invited me to their launch in Liverpool, I obviously practically jumped at the chance, and figured that the only person that made any sense to bring as my plus one and join me, Danielle and Jessi, was my Mum. Based at the bottom end of Bold Street, the pioneer of Mexican inspired fast food is spread out over two floors. 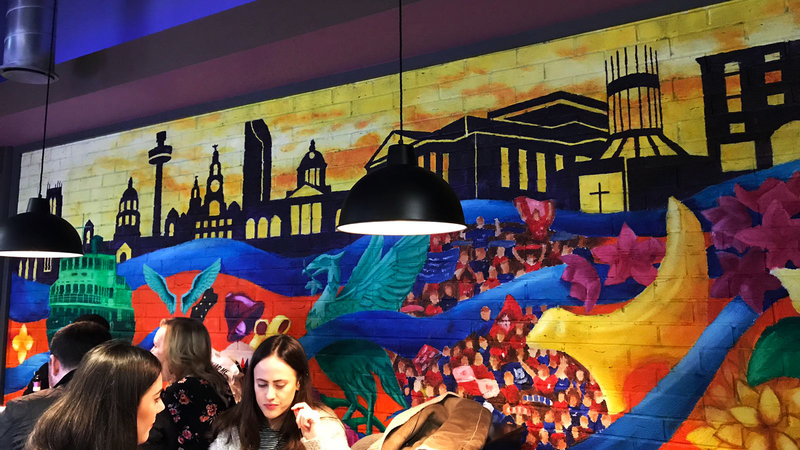 Downstairs is home to a wonderful bespoke piece of graffiti art from Liverpool artist, Paul Curtis. If you're not sure who he is, he's the artist behind the Insta-friendly Liver Bird wings on Jamaica Street. Yes, to a lot of people, Taco Bell is just another fast food chain, and I agree to an extent. It probably sounds pathetic to a lot of people, but I have been excited for this for the longest time. 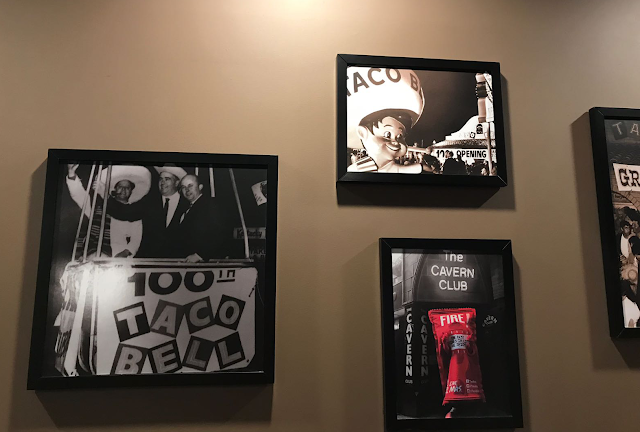 It isn't about the cheap drunk food, it's the nostalgia. Sure, the novelty will probably wear off soon, but I can be excited for now, right? 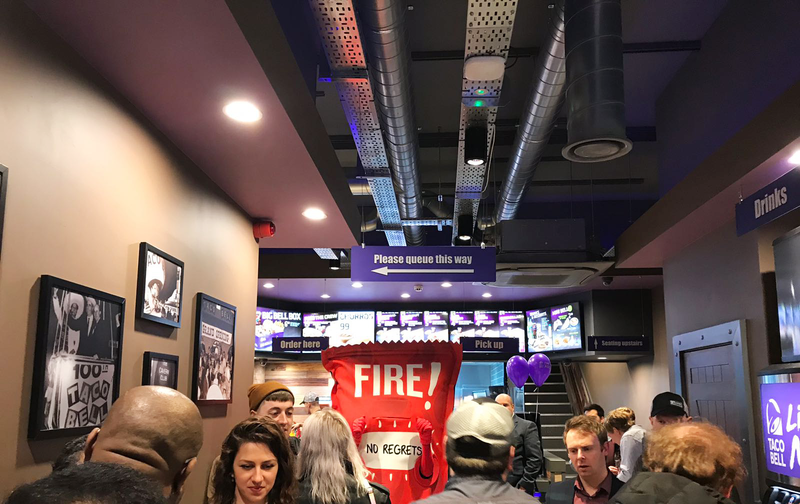 The Taco Bell team were incredibly generous and plied us with free beer, and hearty portions of the full menu throughout the night. We got ourself situated upstairs, where there was a singer and a DJ, and got heavily involved with the stream of food. A surprise favourite of mine was the pulled pork quesadilla. This is the part where I'd normally say 'thanks for having me, and I'll definitely visit again soon', but I'll be honest with you, I've already been back three times. So what does that tell you? 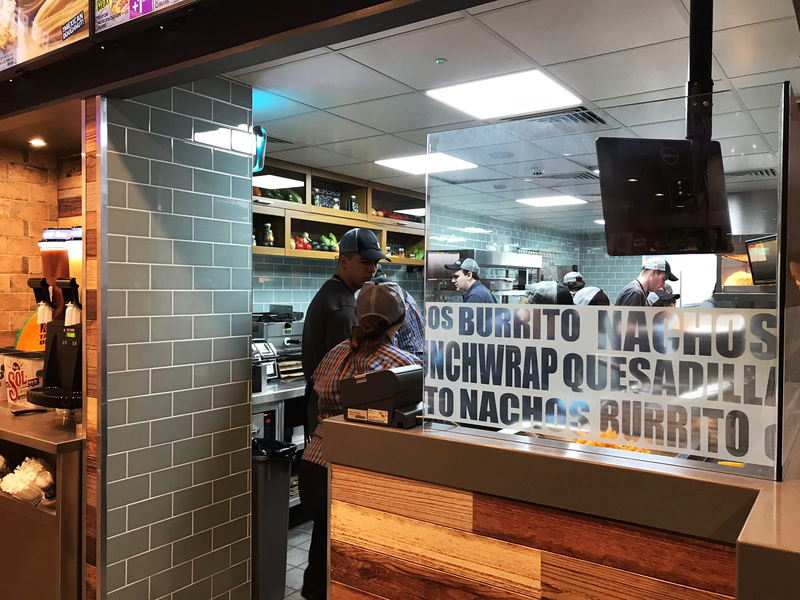 If you want to check out Taco Bell for yourself, it's situated at the bottom of Bold Street, right next to Bold Street Sweets. Or just look for me outside, stuffing my face with churros. 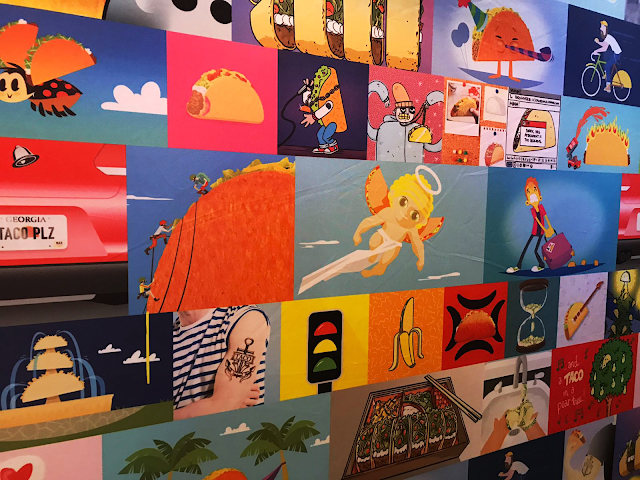 This really does sound like my dream place to grab some food and definitely somewhere that's on my list of places to try the next time I'm in the city. SO glad I finally got to try Taco Bell, one meal and it's already a firm favourite! Those churros! Instantly craving them just thinking about it!